Academic excellence is an ever-present goal for both the staff and students of St Joseph’s College. This excellence is consistently achieved through a curriculum that is both rich in diversity and broad in its depth of study, with the support and guidance of highly qualified, professional teaching staff. St Joseph’s maintains a non-selective enrolment policy and is committed to helping helps students of a wide range of abilities and skill levels to learn, grow and achieve. Academic diversity is clearly evident in the variety of subjects and courses on offer at each stage of schooling. 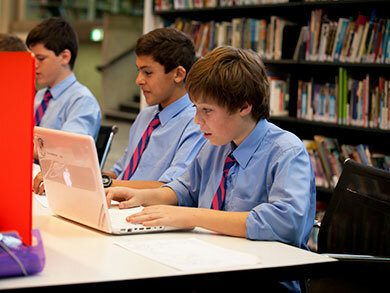 After enrolling in the mandatory subjects for each year level, boys in Years 9-12 choose from a broad range of electives to complete their pattern of study. The College curriculum is tailored to ensure each individual student has the opportunity to achieve to his full potential. Gifted and talented students are given the opportunity to undertake challenging and stimulating extension programs and students with special learning needs receive extra learning support and attention. All students at St Joseph’s College have their own MacBook as part of the 1:1 Learning Program. These MacBooks are utilised across all subject areas and, combined with the College’s intranet and the guidance of the College’s teachers, allow for engaging and highly personalised learning experiences. All students have access to the College’s well-equipped Centre for Learning Enrichment. This centre supports the extension programs within the College, provides professional diagnosis of learning difficulties, assists students through in-class support, regular evaluation and feedback on progress to parents. 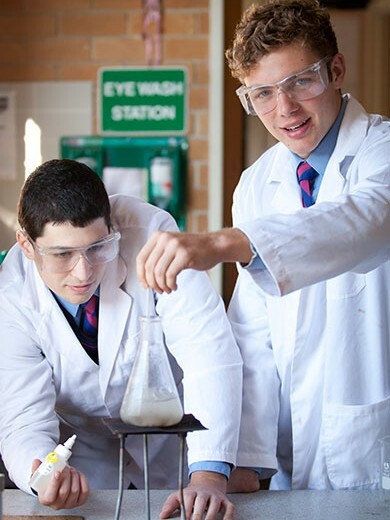 St Joseph’s also offers students in Years 11 and 12 the opportunity to undertake Vocational Education courses at the College, or at TAFE Colleges nearby. Upon successful completion of these courses the student receives formal vocational qualifications under the Australia Qualifications Framework (AQF), which fast-tracks their future tertiary studies and, ultimately, gives them a head start to their chosen career. As a boarding school, one particular strength of the College’s daily teaching is the close supervision of regular evening study. This is available to boarders and day students who stay after hours. Each student is provided with frequent study time as well as assistance by the study-supervisor. Students also have access to the Brother Liguori Resources Centre and tuition or special support when needed. Regular study hours, including time during the weekend, ensures students have ample opportunity to complete homework and assignments and study effectively. All teaching staff at St Joseph’s are qualified and highly professional educators who are dedicated to continuing the College’s long-standing tradition of academic excellence. Staff undertake regular professional development to stay up-to-date with the latest in education practice and theory. The College curriculum is tailored to ensure each individual student has the opportunity to achieve to his full potential.